The Stray in Harrogate during cherry blossom season, one of the attractions that makes the spa town a desirable place to live. In the fourth of the Post’s features on the upcoming local elections, Rob Parsons reports on the challenges facing political leaders in leafy Harrogate. A seemingly immovable fixture in the media’s annual lists of happiest and best places to live, not just in Yorkshire but nationwide, Harrogate offers an unquestionably high quality of life for its residents. But as a recent ‘district profile’ document created by the spa town’s borough council conceded, its public face of genteel tearooms and handsome tree-lined streets obscures a more challenging reality. With an ageing population and expensive housing stock that’s out of reach for many aspiring younger residents, it’s feared a lack of affordable accommodation is putting off the businesses that might set up here. Traffic congestion that saw its busiest road ranked as among the most gridlocked in the country doesn’t help matters, with the wider Harrogate district predicted to see slower economic growth than Leeds and the surrounding area in the coming years. The Local Plan created with the aim of solving these problems, which allocates land for more than 16,000 homes, green spaces and business enterprises in the next two decades, awaits examination by an independent inspector. There are very few things that descend into party politics and bickering. It has already attracted opposition in its draft form, with some residents groups saying the areas earmarked for the most housing lack the infrastructure to cope. With this as the backdrop, Conservative-dominated Harrogate Borough Council holds ‘all-out’ elections on May 3, one of three Yorkshire authorities to re-elect all its councillors after boundary changes. And though they differ on how best to solve the problem, all the main political parties agree on the need to tackle the housing crisis in what is the least affordable district in Yorkshire. Tory councillor Richard Cooper, who took over as leader of the council in 2014 and works in the office of Harrogate MP Andrew Jones, insists that his ruling party and the Liberal Democrats “work well together” for the good of the borough. “For the last three years the budget has been proposed by a Conservative and seconded by a Lib Dem”, he said. 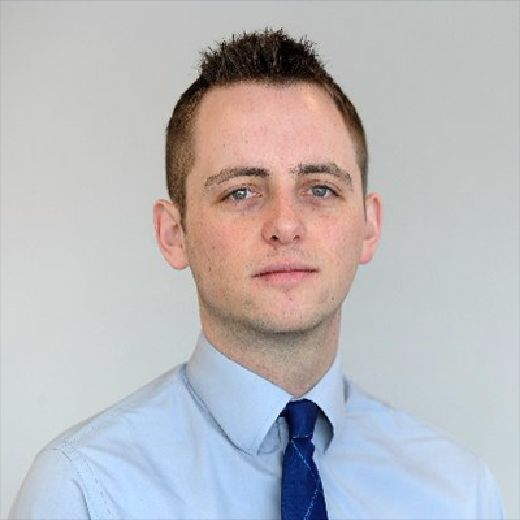 The Conservatives’ local manifesto contains a number of promises to improve housing prospects, reflecting Coun Cooper’s concern that suitable sites around the district are not being developed. Among them is the suggestion that the council will lobby government to be allowed to charge council tax on homes developers have failed to deliver. A Tory-run administration would also double council tax on homes that have been empty for 12 months. But there are some also eye-catching commitments in other areas, such as a pledge to open a new swimming pool in Ripon to be named after local swimming champion Jack Laugher and a council-run gym for Knaresborough by 2022. The 11-page document advocates an increased use of compulsory purchase powers to bring empty retail units back into active use. This idea has the support of Mike Procter, president of the Harrogate District Chamber of Commerce, who is urging the council to provide direct stimulus to the town centre business economy. Other initiatives Mr Procter suggests to boost the local economy include creating a “business incubator” with low rental prices and flexible lease terms, more local purchasing by the council and the establishment of a Business Improvement District where firms pay a levy to fund important local projects. The Liberal Democrats will be hoping to make progress at this year’s election, but were thrown into turmoil in 2016 after a third of their 15 councillors broke away to become independent. According to group leader Pat Marsh, the achievements of the Tories in the last 15 years pale in comparison with those of her party, who controlled the council for more than a decade before that. She also cites the lack of affordable and social housing in the borough, and says a Lib Dem-run council would set up “a housing company to develop innovative ways of supplying these homes”. Recognising that the borough’s well-educated young people rarely return to the area after university because of the lack of good jobs, she says her party would work with the local college to develop degree courses and apprenticeship schemes, as well as developing a local purchasing scheme for council supplies. Labour hasn’t had a presence on Harrogate Borough Council for two decades, but the party hopes this will change this time round and is contesting 38 of the 40 seats available, with some of the candidates having previous experience of being councillors. 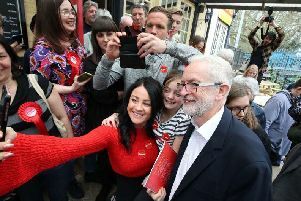 It blames “tactical voting” for its lack of councillors in Harrogate, but points to a doubling of the Labour vote at last year’s General Election as a positive sign. Labour’s solutions to the housing issue include large-scale developments near existing transport links such as the A1M, as an alternative to building in the north of Harrogate and Knaresborough. It would also oppose any large planning applications which did not contain at least 35 per cent affordable housing, and carry out a private sector rented housing survey to get a clearer picture of local requirements. The Green party, which is standing in 20 out of 40 words in the district, has criticised what it describes as the council’s “meek compliance with the agenda of austerity”. As a second-tier authority Harrogate Borough Council’s budget is dwarfed by that of North Yorkshire County Council, which has responsibility for education, social services and controversial roads projects like the proposed Nidd Gorge relief road. Of its 54 councillors, 37 are Conservative and ten Liberal Democrat, with five Harrogate Independents and two Ripon Independents. But changes to the council’s boundaries, and a desire to save money, have seen the number of seats fall to 40 at this year’s election. The whole council will be up for election once every four years - replacing the long-established set-up of holding elections by thirds. Among those departing their borough council seats are Tory Don Mackenzie, the county’s executive member for transport, independent John Fox, who used to be agent for former Harrogate MP Phil Willis, and Simon Theakston, co-owner of Theakston Brewery.